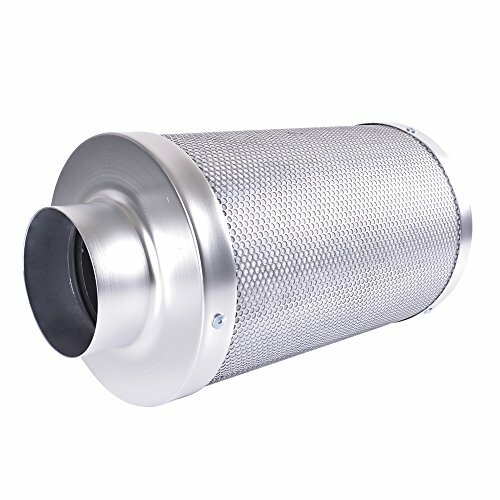 Growtent Garden 6-inch Carbon Air Filter, Odor Control 1000+IAV Activated Australia Virgin Charcoal with Free Pre-filter for Inline Fan and Air Ducting, 6x14"
Click to choose a Size: -- Choose Size -- 6"x14" 6"x18"
oxygen to create millions of Tiny pores between the carbon atoms. Easy to install and operate that will keep you free from any unnecessary mess or hassle. of professional quality materials and will give you astonishing progress. Trust us, you are worth them!